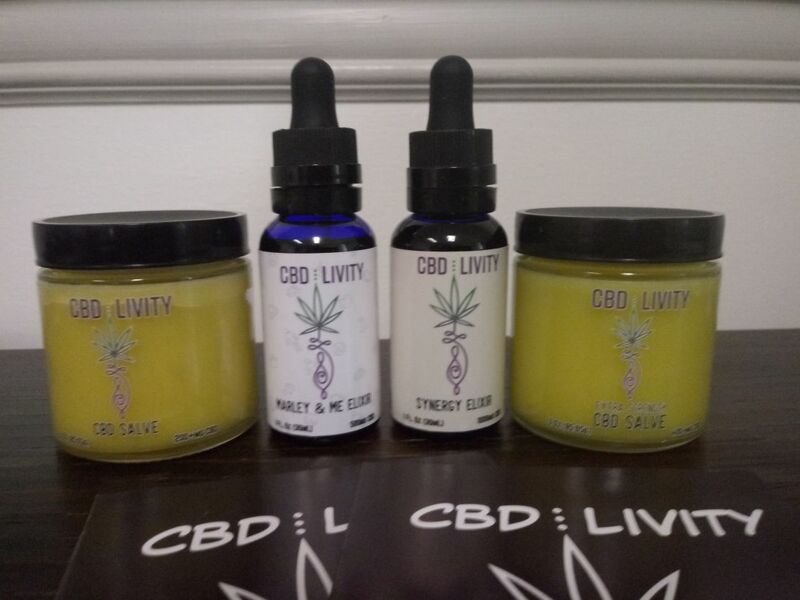 Animal AND Human friendly elixir made with 500 mg of CBD. Every animal with a backbone has an Endocannabinoid System that responds to Cannabinoids like CBD to maintain balance within the body and mind. Many pet owners are turning to CBD to help ease common symptoms. Containing only 2 simple ingredients, this Elixir can benefit anyone with 2 OR 4 legs. Each botttle is 1 oz. (30ml). Each dropper (1ml) is approximately 16 mg of CBD. Ingredients: Organic Hemp Seed Oil and CBD. Each bottle is 1 oz. (30ml). Each dropper (1ml) is approximately 33 mg of CBD. 3 or 5 oz. containers. Infused with 200+/330+ mg of CBD, Arnica oil, and other essential oils to supply our bodies with the nutrients it needs. The Hemp Seed Oil, Coconut Oil, Almond Oil, and Shea Butter replenish our bodies with vitamins and minerals. The cannabinoids and terpenoids in the Hemp extracts and essential oils provide relief from pain, tension, dry skin, acne, itch, and more! Ingredients: Coconut oil, Arnica infused Hemp Seed oil, Almond oil, Beeswax, Shea Butter, Vit. E, CBD, and Essential oils of Grapefruit, Lavender, Peppermint, Lemongrass, Rosemary, Eucalyptus, and Bergamot. Same recipe as the CBD Salve, except infused with twice as much CBD (400+/660+ mg). More CBD means more healing.